Injuries and lack of rest are among the many confidence killers in youth sports, says Dr. Shawn Worthy, Metropolitan State University of Denver professor and clinical psychologist who specializes in sports and adolescent psychology. They can prompt kids to feel burned out and to quit altogether. “My daughter was a gymnast first and actually injured out of gymnastics at age 11. 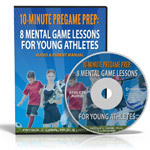 When young people are injured, they can have real issues with it, because of a lot of time they have their entire self-image tied to their athletic performance,” he says. 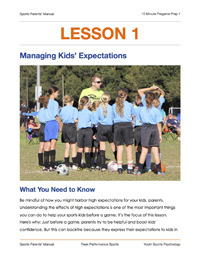 When your sports kids’ whole self-image is tied to athletic performance, they often deal with substantial psychological consequences and lowered confidence if they under perform, burnout, or get injured, he says. That’s why it’s critical to help sports kids develop interests outside of sports, he says. It’s important for kids to separate their self-worth from their performance and it’s critical for parents to remind kids that their self-image should not be tied to how well they perform. In addition, Worthy stresses the need for sports kids to get the rest necessary to recuperate fully. “We have these 12- to 14-year-olds who have overuse injuries because they are specializing and making these movements all the time,” he says. In part because kids do develop over-use injuries, Worthy doesn’t think kids should play or perform year-round. However, parents can prevent such burnout by stepping in and giving kids some perspective about what may happen if they play year-round, he says.